Brazil's newest law will direct 15 percent of revenue from traffic fines towards programs that encourage bicycling. Photo by marcel maia. A version of this post was originally published by Maria Fernanda Cavalcanti in Portuguese on TheCityFix Brasil on August 16, 2011. After Brazil’s President Rousseff created Way to School, a national program that provides 100,000 donated bikes and helmets to students in public schools, the federal government took another important step to encourage the culture of cycling in the country. Earlier this month, the Bicycle Program Brazil (PBB) bill was approved by the Urban Development Commission of the Chamber of Deputies. Under the measure, 15 percent of collected traffic fines will be used to fund bicycle projects in all municipalities with more than 20,000 inhabitants. 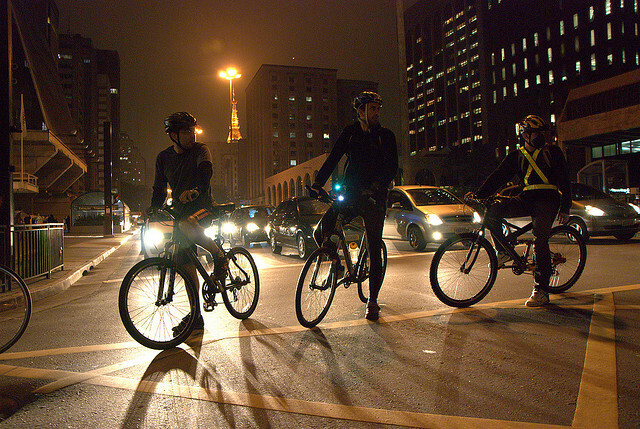 As an example, the Gazeta do Povo blog on cycling, Ir e Vir de Bike (“Come and Go By Bike,”) explains that in Curitiba this amount would represent nearly R$10 million per year to encourage the use of bikes. This amounts to almost five times the 2011 budget provided for the deployment and infrastructure revitalization of the cycling capital of Parana. The PBB principles that promote the use of bicycles range from the creation of bike lanes to campaigns that promote a healthy and active lifestyle. The bicycle is now considered to be one of the main modes of sustainable transport in the world and part of transport culture in thousands of cities, due to its contribution to clean air and a healthy, affordable lifestyle. In addition to funding from traffic fines, budget allocations at all levels of government and contributions from organizations, individuals and legal entities (domestic and foreign) can also serve as a financial resource for the Bike Program Brazil. This legislative effort in Brazil is a new initiative to encourage non-motorized transport, but other Latin American countries like Argentina are already paving the way in sustainable transport. The hermanos already have a complex network of bike paths and an efficient system of public bicycles in Buenos Aires. If approved, Brazil’s new law can be a great catalyst to launch more bike-friendly initiatives in Brazil to enhance bike culture.